When I question students at my Christian college about how their faith affects their learning practices, they stare blankly at me or scribble a note about being motivated by the true, good, and beautiful. But studying (and education) for Christians should look different than a secular approach, though many students cannot articulate these differences. 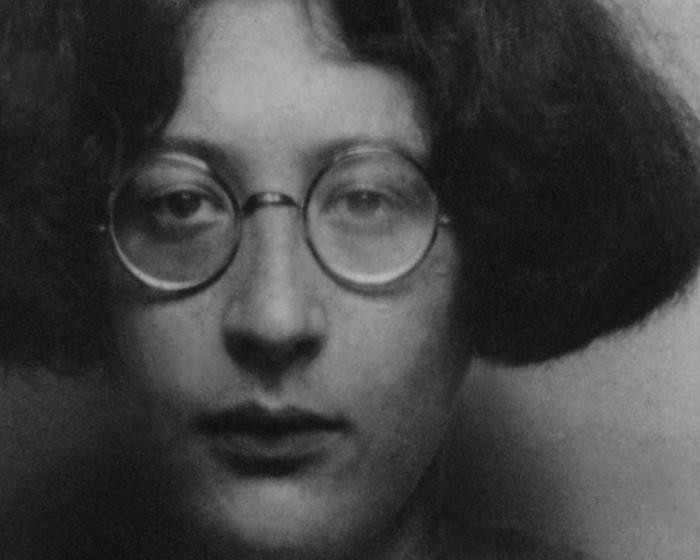 To clarify the connections between their beliefs and education, I teach Simone Weil’s “Reflections on the Right Use of School Studies with a View to the Love of God” (1942), a great essay with an unwieldy title. Weil, born in Paris in 1909, taught for a number of years in the 1930s in France, where she also participated in the French resistance to Nazi occupation. A series of mystical experiences led her to affirm the truth of Christianity. Her reflections on school studies are directed to the Dominican Father Joseph-Marie Perrin in Marseille, intended for the benefit of the Catholic students whom he served. Considering the context of World War II, Weil’s comments echo C.S. Lewis’ 1939 admonition to Oxford students, “Learning in War-Time.” To a church filled with young men ready to leave their studies and join the fight, Lewis insisted on learning as “advancing to the vision of God” and cultivating humility in the student. Like Lewis, Weil directs students’ vision toward the higher ends of education. Weil argues, “The Key to a Christian conception of studies is the realisation that prayer consists of attention.” If Christians desire communion with God, they should pray. For Weil, prayer is the practice of self-emptying, much as Jesus Christ did when He descended from the Godhead to the earth and then to the humiliation of the cross. When we give our undivided attention to something, we are practicing what Weil calls kenosis. This posture prepares us for prayer, enables us to pray—and may, in fact, be a form of praying. Thus, studying leads us to commune with God. School studies are sacramental exercises; with the right motivation, learning can be sanctifying. For Weil, Christian students should be more concerned with their ascent on the spiritual plane than their success within the earthly realm. Education, to her, is a spiritual exercise. Studying for geometry, for example, is less about the right proofs and more about perfecting the practice of attention. Weil does not denigrate the benefit of geometry or other courses; instead, she assumes and acknowledges their intrinsic value. Additionally, she praises school studies for their further, eternal good. With the “view of the love of God” as a goal, studying becomes a means for greater participation with the divine. Weil claims, “[E]very time that a human being succeeds in making an effort of attention with the sole idea of increasing his grasp of truth, he acquires a greater aptitude for grasping it, even if his effort produces no visible fruit.” Whether or not one excels in a class, the effort itself—of attending to one’s studies in a striving for truth—will be transformative. If Weil is correct, then students should be eager to attend every class, read each assigned text, and delight in all courses—regardless of their preference or talent. “School children and students who love God should never say: ‘For my part I like mathematics;’ ‘I like French,’” Weil writes. Instead, students should like all of their subjects because they are steps toward communing with the divine. Weil wanted to move students away from a focus on success and self-interest in favor of the contemplative love of God. Students who practice an openness to their studies will receive more than those who vainly strive for trivial ends, such as a high grade on a disposable assignment. In Weil’s argument, education is not a right, an opportunity, or an advantage over others, but a gift. How this approach would change Christian students’ attitudes toward required courses! Students who practice an openness to their studies will receive more than those who vainly strive for trivial ends, such as a high grade on a disposable assignment. Weil indicts students who would make excuses, justify their mistakes, or be tempted to point out the faults of others. Contemporary teaching pedagogy is partially to blame for those student attitudes. Since kindergarten, many students have absorbed deceptive messages promising them they can succeed at anything. American teachers have expended too much energy building the self-esteem of students and making them less resilient as a result. Now, any knowledge of their mediocrity—or worse, failure—causes extreme anxiety. Yet, Weil asserts that knowledge of our mediocrity or “sheer stupidity” is desirable because, through such knowledge, “we can acquire the virtue of humility, and that is a far more precious treasure than all academic progress.” If students imagine themselves as fallen souls progressing toward spiritual perfection rather than as completed products, the evidence of their brokenness will not shatter them. Unsurprisingly, Weil’s argument grates against popular conceptions of education. One of my first-year students came to my office after reading Weil to argue with a few of her claims. He disagreed with her proposal that students “work without any wish to gain good marks, to pass examinations, to win school successes.” He countered, “Aren’t good grades and success the goal of a college education?” He had been led to believe in education as a utilitarian enterprise. “No,” I answered. As Walker Percy famously writes, “You can get all A’s and still flunk life.” The telos for education, for a Christian student, is to know Jesus Christ and make Him known. All study of any discipline with the desire for truth participates in this process; the grade is tangential. If one excels in the subject, the grade should correlate with the performance. But, according to Weil, and I agree, the grade should never be the focus or the desire for the student. Weil’s assertions align well with other Christians who recognize students as souls moving from sinners to saints. Percy describes us as pilgrim wayfarers. Flannery O’Connor describes us as goods under construction. The movement is the key. My students place so much value on their identity as though it is static. By choosing a major, they think they decide who they are. Instead, students need to focus on verbs, not nouns. They are not engineers, nurses, and teachers; they engineer, nurse, and teach. The verbs, with the accompanying practice, reveal the process and show students that vocation is about responding in practice to the ultimate call of discipleship. Why, then, do students so often act as though academic work is a barrier between them and the “real world?” Christian students especially need to read Weil’s essay, that they may see and understand the right use of education. It is not for them to get ahead or to become well-rounded, but to discern the love of God. As Weil explains, the “barrier” of academic work is, in reality, connecting students to the real world and, via their attention, to the transcendent. 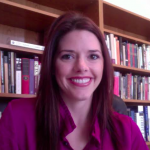 Jessica Hooten Wilson is an associate professor of humanities at John Brown University.